Best Yamaha Arius Pianos for Beginners and Pros! Best Electronic Keyboards and Digital Pianos for Beginners! Yamaha Arius: Best Digital Pianos! 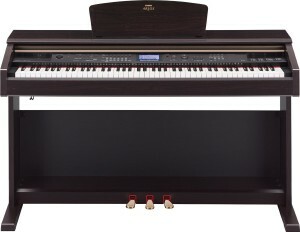 Are you almost ready to get your new Yamaha Arius digital piano? Are you looking to read some Yamaha Arius reviews before making your decision? 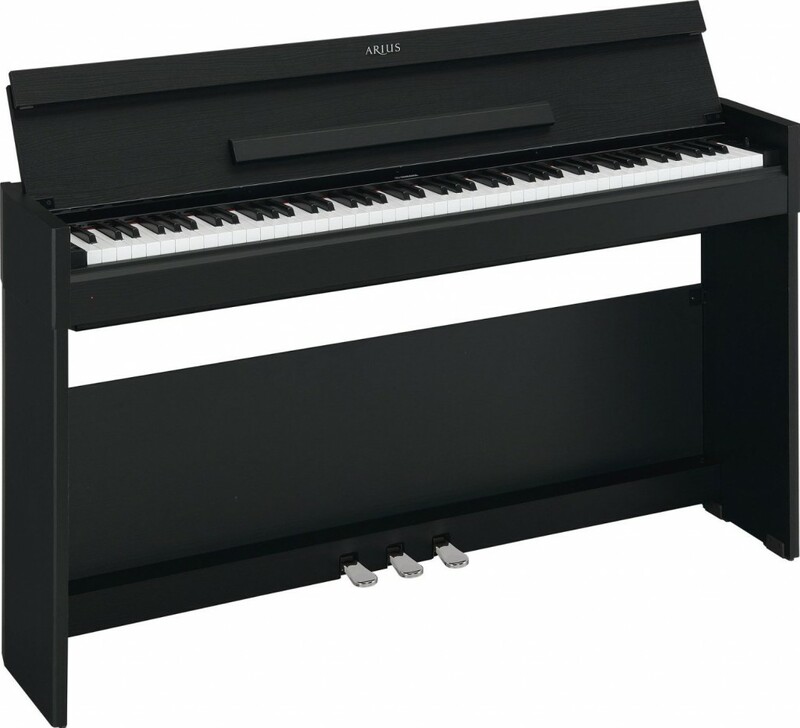 I can tell you that the Yamaha Arius digital pianos are among the best digital pianos for beginners and professional piano players on a budget or who live in a small apartment and can’t have a real acoustic piano…. The Arius line offers superior and authentic piano sounds and it looks and feels like a real piano! I would really recommend a beautiful Yamaha Arius piano for a serious piano beginner or intermediate student! They cost almost one fifth of a real acoustic piano but they will not disappoint in terms of dynamic sounds and their luxurious appearance! On this page you are going to read a few of the best Yamaha Arius reviews to help you make your final decision! *The best Yamaha Arius pianos displayed on this page were all chosen by me based on my own research done online, my personal opinion and my own piano teaching experience. One of the Best Yamaha Arius Pianos! We start our Yamaha Arius reviews with the ARIUS YDP-V240. It has the looks and feel of an acoustic piano, with a heavier touch on the lower notes and a lighter one on the higher notes, just like in a real piano! The sound is very dynamic and very rich, and it will be a pleasure to play! One of the best features is the dual headphone output, which is absolutely perfect for piano lessons any time! This piano is a delight to play and and I love how realistic the keys feel and it is almost as good as a Clavinova. I also love all the instrument voices and rhythms with all the automatic accompaniment styles! Most players all say that they cannot believe how much like a real acoustic piano the touch is! 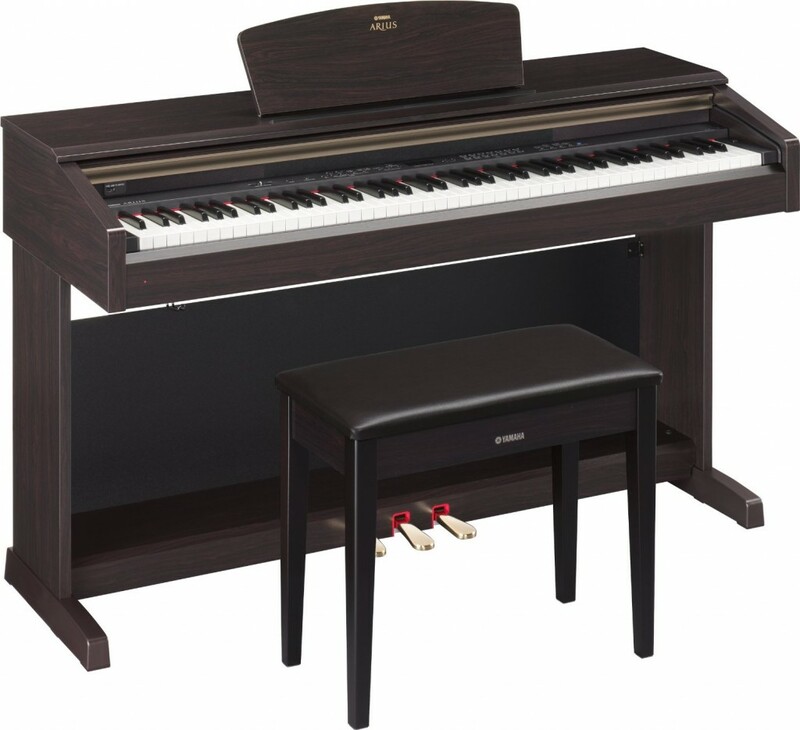 Overall this Yamaha Arius piano is highly recommended by everyone who bought it! 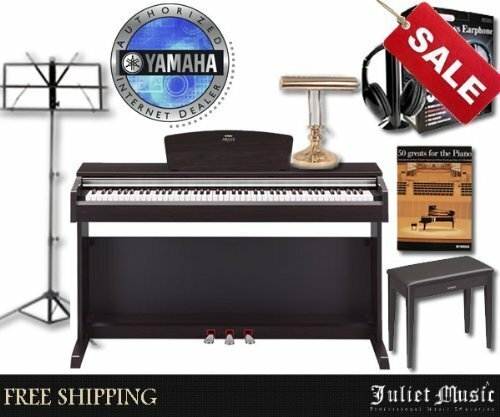 This is the Yamaha Arius YDP-V240 digital piano bundle! It comes packed with everything you will need to just sit down and start playing right away! Affordable Yamaha YDP-162 88-Key Digital Piano with Keyboard Bench and Headphones! 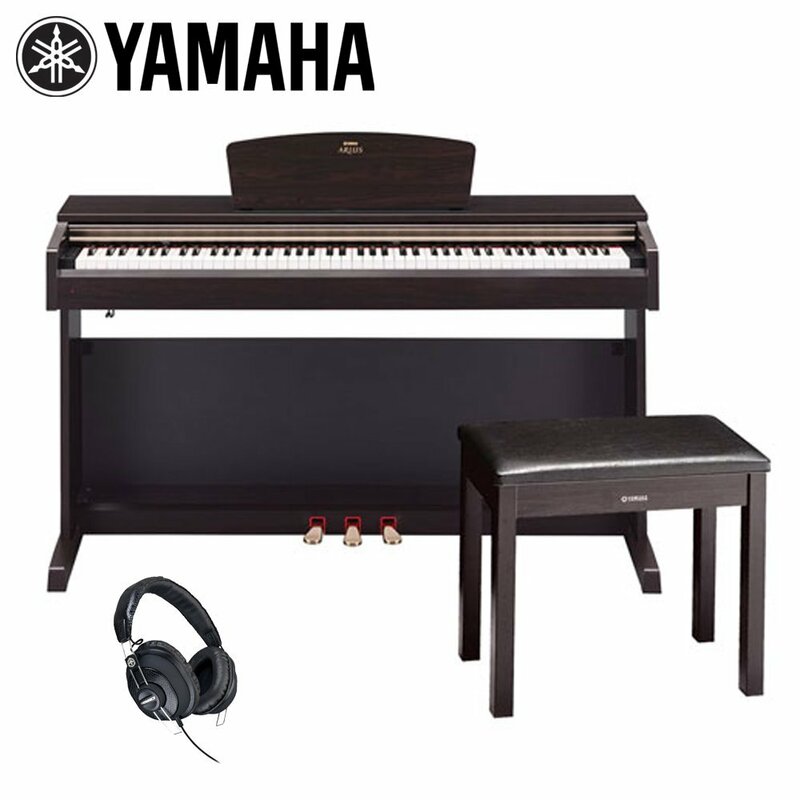 Next on our Yamaha Arius reviews is the Yamaha ARIUS YDP-162 digital piano sold with the piano bench and headphones! It is considered the perfect digital piano for beginners and players too! All the ARIUS pianos have the authentic sounds and feel of a real piano and this one is no different. The Yamaha Arius YDP-162 has a more powerful 20W stereo amplifier for a ‘gorgeous’ piano sound, very clear and expressive! It also have a beautiful dark rosewood finish. The price is very, very good and the shipping is free! The compact size is also perfect for smaller apartments or dorm rooms! Another highly recommended Arius digital piano for you! Best Yamaha Arius Electronic Pianos for Sale! Moving along our Yamaha Arius reviews comes the beautiful Yamaha ARIUS YDP-181 electronic piano in a gorgeous rosewood color with bench! It also has the 128-note polyphony that will never let you ‘run out’ of notes when playing a passage! The damper resonance will have you thinking you are actually playing a grand piano! The Yamaha Arius YDP-181 has a beautiful stereo sound coming from the big stereo speakers! The keys are very sensitive to velocity and touch and I love the fact we can choose more ‘voices’ to play, like organ and harpsichord. They say it has the best “feel” of a real piano! I am sure you are going to love this model! Awesome Yamaha Arius YDP-181 Digital Piano Keyboard Bundle! What a great piano bundle! 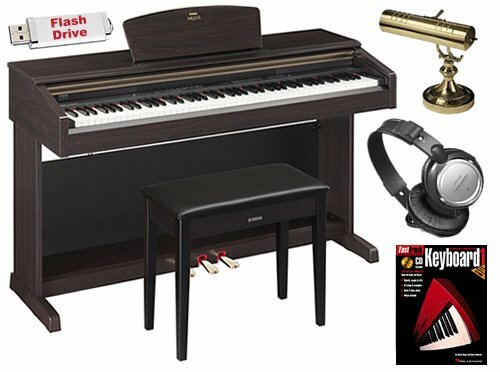 Here you have the Yamaha Arius YDP-181 digital piano bundle with the bench, headphones, a beautiful piano lamp, flash drive and a book with CD! Great gift idea to a new piano student! Yamaha Arius YDP141 88-Key Digital Piano with Free Gifts! Well… the title says it all! This is one of the best and most affordable ARIUS piano bundles out there! 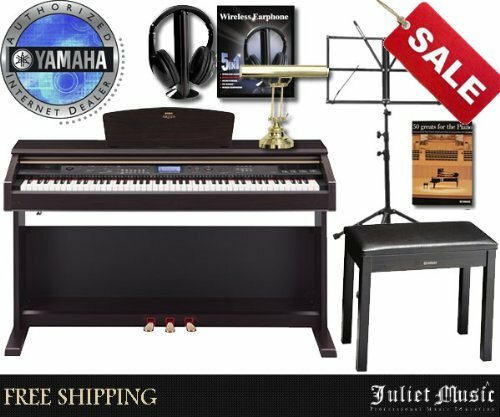 It is one of cheapest Yamaha ARIUS digital pianos being sold that comes with several free cool gifts, including the bench, headphones, piano light, a nice stand to hold your music sheets and even a piano book! It also ships for free! The Yamaha ARIUS YDP-141 digital piano is also perfect for beginners! It is an affordable and great looking digital piano that sounds and feels just like a real piano. It takes minimal space and it is very easy to move around if needed. Recommended by piano teachers and experts! Perfect for piano beginners on a budget who also want a beautiful and high-quality digital piano! What a gorgeous console style black Yamaha Arius piano for sale! Will look amazing anywhere you decide to place it! It comes with 50 preset songs and the three pedals, just like in a real piano. The keyboard feels very natural and smooth to play. Even better is the price! One tenth of what a real acoustic piano would cost! Listen and See for Yourself! Have you made your choice yet? Listen to all the beautiful Yamaha Arius digital pianos here and happy playing! GabrielasMusic is a participant in the Amazon Services LLC Associates Program, an affiliate advertising program designed to provide a means for sites to earn advertising fees by advertising and linking to amazon.com.